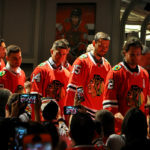 As you would probably expect of someone who was the Black Hawks team captain for seven years, Pilote was nothing short of awesome when interacting with the fans. He was always very friendly and talkative. He would take his time signing an autograph, sometimes even asking where you wanted his signature. 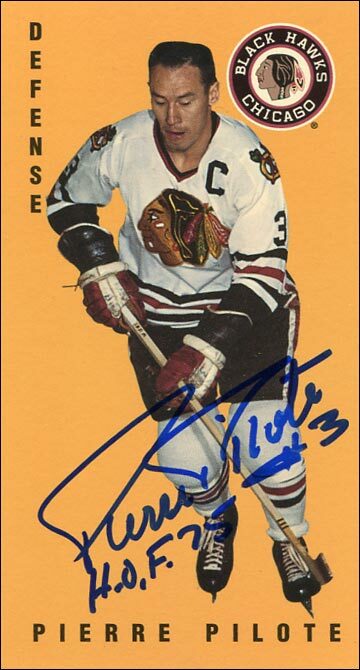 Like virtually all Original Six Era players, his autograph was something you could actually read. Furthermore, Pilote signed autographs through the mail for fans for free. So when he was selling signed copies of his book, Heart of the Blackhawks , at the Blackhawks Convention one year, I jumped at the chance to buy one. Every now and then, I was also glad to donate $20 when Pilote was signing for charity. If you take, you should give, too. I think fans forget that sometimes. 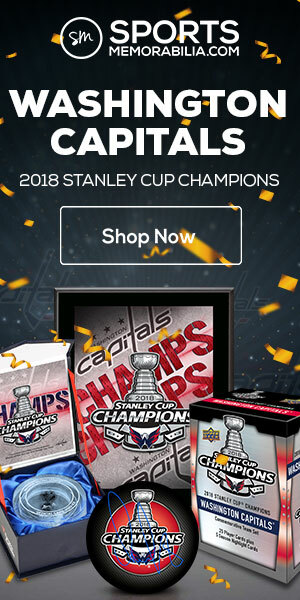 Once when I was at a Sun-Times Sports Card Show, Pilote spotted me wearing a San Jose Sharks jersey, gave me a funny look and asked why it wasn’t a Blackhawks jersey. I mentioned that I was a fan of Doug Wilson, who played for the Blackhawks, but was later the Sharks’ first-ever team captain. Pilote told me about the time he presented the Norris Trophy to Wilson at the NHL Awards Ceremony in 1982. True, Pilote may have been just talking me up so I’d buy an autograph, but it didn’t matter; like I said, pay it forward. The next day, I brought something that I wanted to get signed, and we had a short conversation afterward. 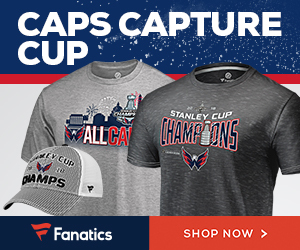 Insight from a man who won the Norris Trophy as the NHL’s best defenseman three times, was named a First Team All-Star five times and is an honored member of the Hockey Hall of Fame. 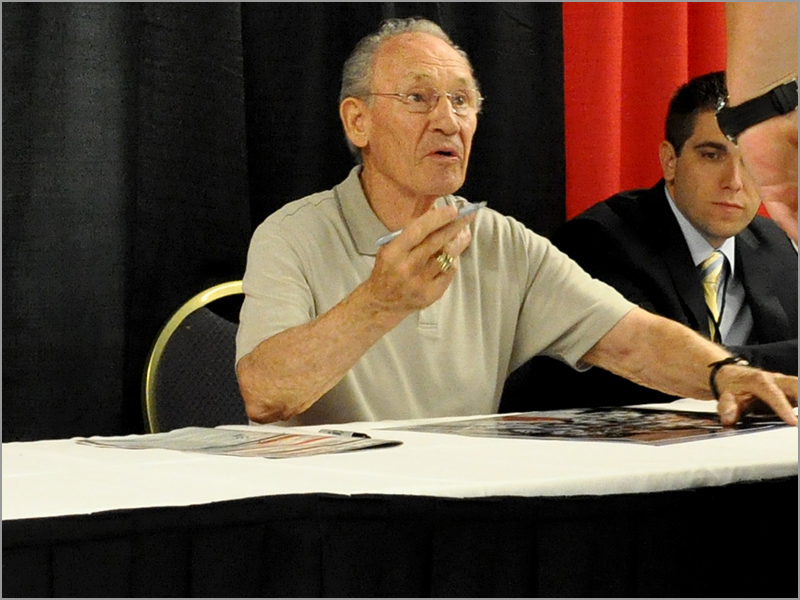 Pierre Pilote at the Chicago Blackhawks Convention in 2013. After a moment, Pilote’s eyes narrowed a bit and said, “Oh yeah…I remember you. Good to see you again.” He could have been pretending, but the look on his face went from what the hell are you talking about? to ohhh, right in about two seconds. By 2015, I was finishing my degree in journalism and wasn’t really collecting autographs anymore. But that summer, The National was back in Chicago, and Pilote was signing autographs for free during the first day of the convention. 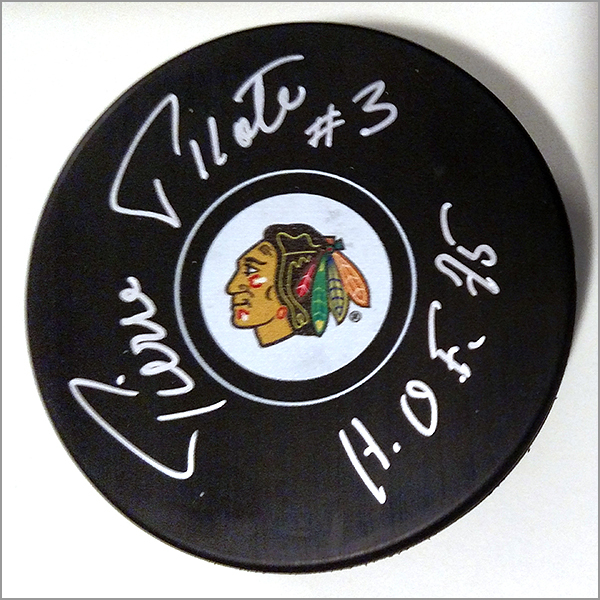 Since I was there, and the autograph was free, I decided to buy a hockey puck and get it signed by Pilote. I normally don’t collect signed pucks, because they are expensive and take up more room than cards or photos. But I also figured that it would be cool to have a puck signed by a member of the Hockey Hall of Fame. I was right. 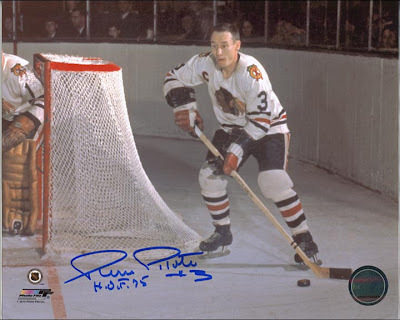 Not only was Pilote’s autograph legible as always, but he inscribed #3 (his jersey number) and H.O.F. 1975, even though I didn’t ask for it. I didn’t have to; he added those two inscriptions to practically everything he signed. This puck is a memento not of a player I grew up watching, but of someone who I became a fan of four decades after he skates his last shift. The hockey world lost an all-time great defensemen — and Blackhawks fans lost an all-time great friend. Goodbye and thank you, Pierre Pilote. Many of us cannot say we saw you play, but we saw how you treated the fans, and it was always appreciated. I experienced his as a rarity in life and the sport: a gentleman. Thanks so much for taking the time to write this wonderful tribute. 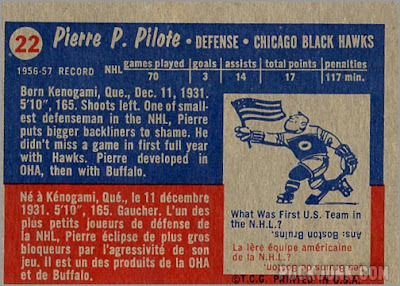 I was lucky enough to watch Pilote play and have several of his vintage cards. Irv, thank you for your kind compliment. 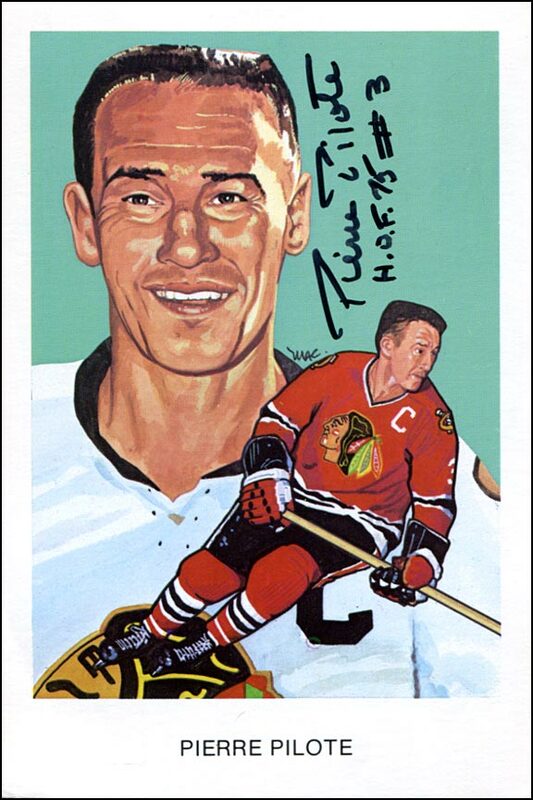 It must have been awesome to have gotten to watch Pilote and Moose patrol the blue line for the ‘Hawks together in the 1960s. He was one of my favorite defensemen. I did see him play when I was a kid. (don’t remember but my dad said I did). 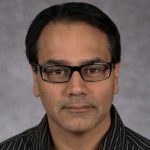 Was sad to hear. One of the greats.